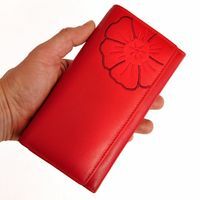 You are looking for a women’s purse which fits everything but still is handy and looks good? – This chic women’s holder is the solution! 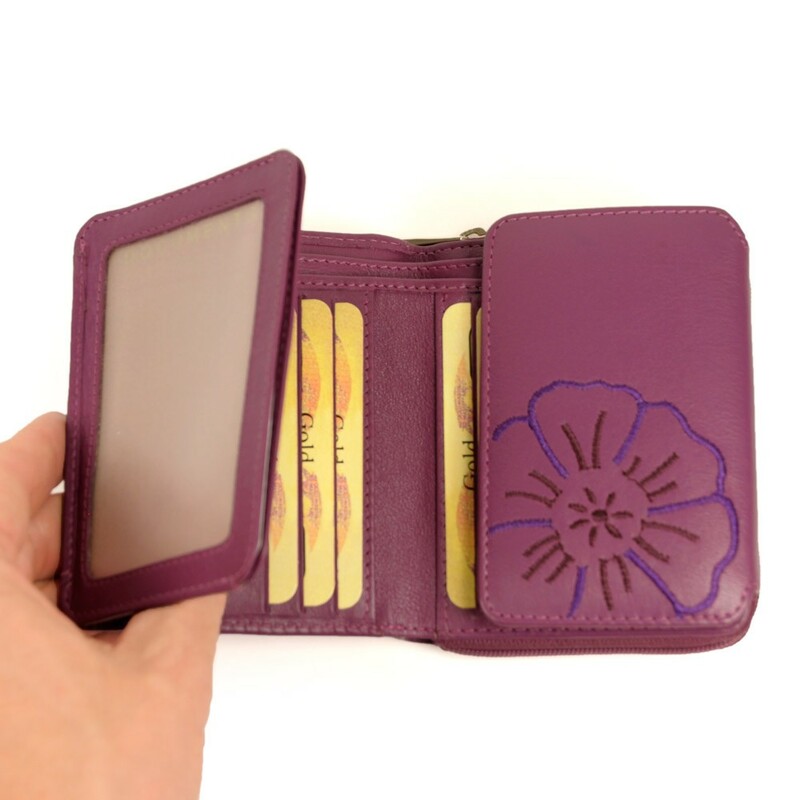 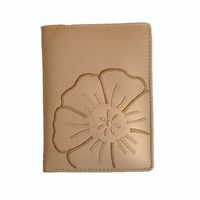 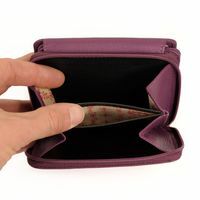 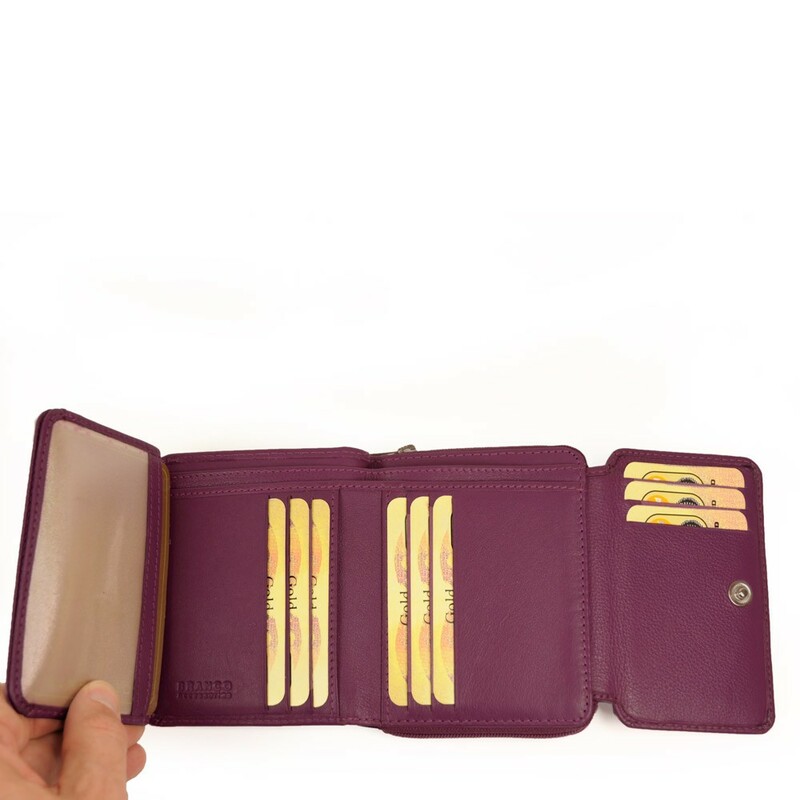 The beautiful women’s wallet has got enough space for notes, coins, IDs and cards of all sorts. 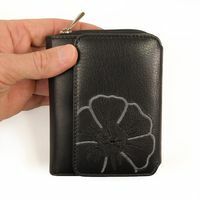 Furthermore, the practical pouch made out of wonderfully soft cow leather with its nice flower appliqué is a real eye-catcher as well. 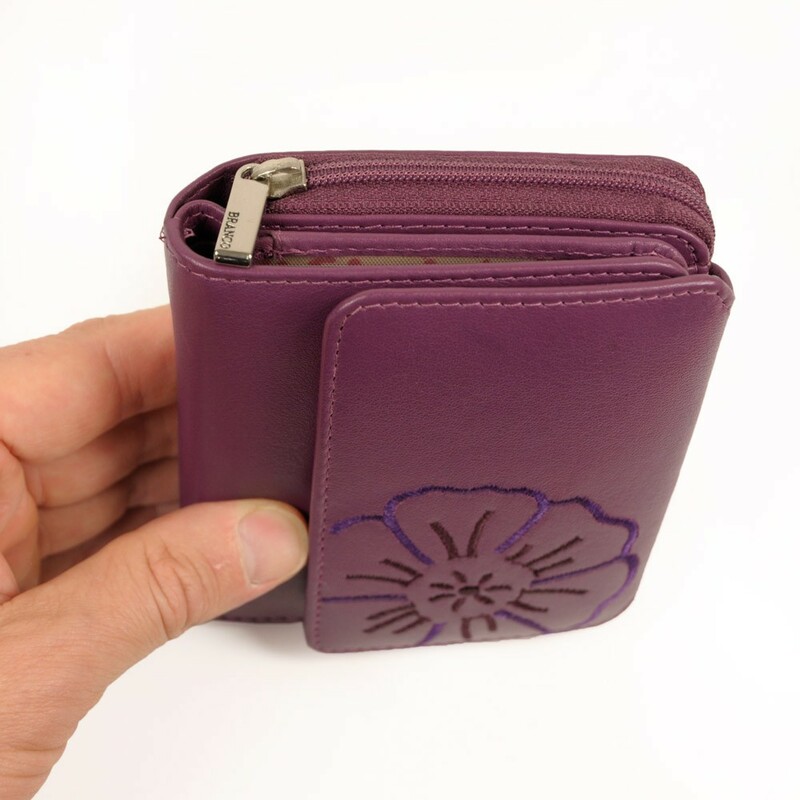 The purse lies well in your hand due to its high quality, soft cow leather and it really flatters your hand. 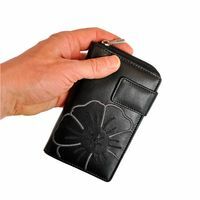 In addition to that, the pouch offers a lot of space with all its slip pockets for everything, you want to keep in there. So on the one side, the leather holder has got a coin pocket divided into two parts with a zipper that goes all around. 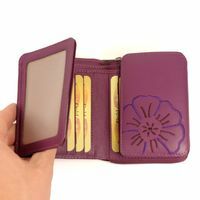 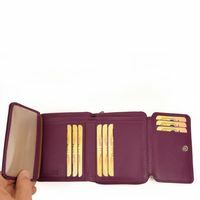 And on the other side, there are two compartments for notes, two A7 ID sections with view window and eleven slip pockets in credit card format. 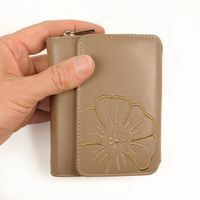 So you can really keep everything well-arranged in this chic money holder without having to carry a huge briefcase around with you. 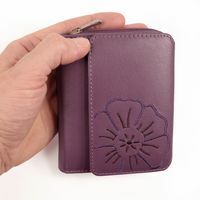 We from Jahn-Lederwaren.de like to have customers who are satisfied with our products. 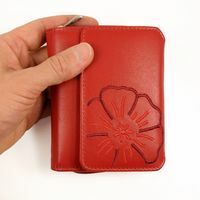 Therefore, we would appreciate your feedback and kindly ask you to do a product review. Thank you.